Be a diva at the Sydney Opera House with your very own walk-on role. Have your hair and makeup done when you hear your half-hour call. You'll be dressed in a costume fitted especially to you. Be on stage with the chorus at the Sydney Opera House – the world’s most famous building. The footlights glint in your eyes as you take your place in performance. Be surrounded by the sound of fifty people singing in perfect harmony, the power of the human voice ringing out over a crowd of 1500 people. This is opera from the star’s perspective, and tonight, the experience is all yours. 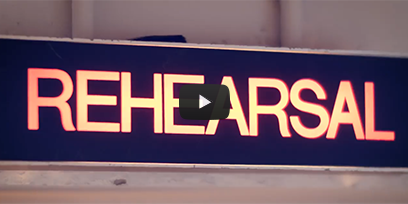 A walk-on role with Opera Australia lets you explore so much more than the stage. You’ll visit the Opera Australia studio and a costume dresser will fit you with a handmade costume. The Assistant Director will take you through what happens on stage – when you need to be still, when you need to be a star. On the night of your performance, you’ll enter the Sydney Opera House house via stage door and report to hair and makeup to have your show make-up and wig applied. Then, you’ll mount the stairs to the stage to enjoy this once-in-a-lifetime experience, while someone you love watches from the auditorium. You’ve always known you’re a star. Now let the world see it! This experience will take place at the Sydney Opera House on a mutually agreed upon date between 3 January to 28 March 2019, based on availability. 10 places are available per annum. 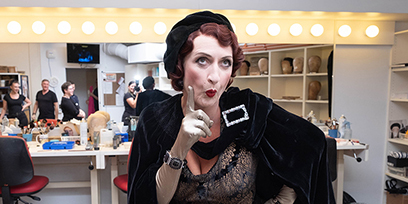 Not all opera productions are suitable for a walk-on role, so the opera choice will be at Opera Australia's discretion. La Bohème is the only opera in which it is possible to have a walk-on role. Cost includes 1 person on stage and 1 guest in the audience. The participant is on stage with the chorus, but does not sing. The participant will be on stage only when the chorus is performing. This will likely be around 15-20 minutes. Exact timing is subject to change. Participant must be at least 16. The participant must be able to walk up and down stairs and on a sloped stage. To book: email tourism@opera.org.au to discuss opera and date selection and availability.